Two 3-week camps are offered in July and August respectively. Theme is on “water” and “Nature” including indoor swimming, beach basketball, camping, tour to eastern Canada (Ottawa, Montreal and Quebec) and to Niagara Falls and cultural activities. One 3-week camp is offered in January or February. Theme is on “Snow” and “Ice”, including indoor and outdoor skating, ski trips and tour to eastern Canada (Ottawa, Montreal and Quebec) and to Niagara Falls and cultural activities. 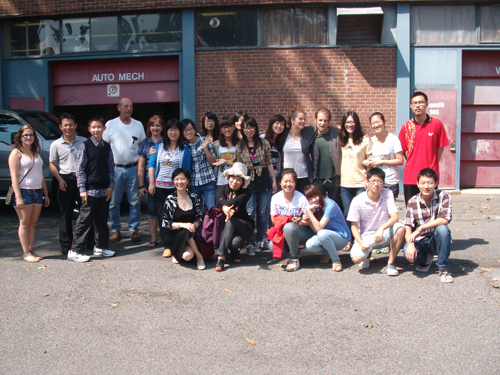 The goal of the camp is to provide a natural English language and cultural environment for overseas students whose first language is not English. In order to get students exposed to the Canadian culture and its people, NCFTA will arrange for the students to stay with friendly Canadian families, and will organize a variety of cultural activities and field trips. Experienced instructors will teach English, and introduce one to Canadian culture by taking students to the various local historical and cultural sites. 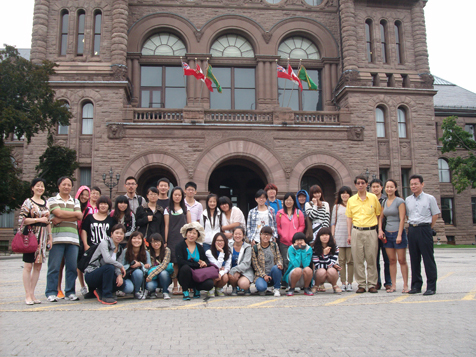 After the camp, students will return to their home country with lasting impressions of the country, improved English, and a better understanding of Canada and its people. DAY 4 9:30-12:30 p.m. Class; 1:30-4:30 p.m. Swimming at the community centre. Evening optional activities: play basketball in the campus gym; ballroom dancing; concerts in the campus theatre; or local walks and other events in the Falls area.